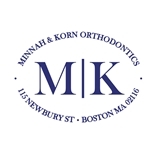 Minnah & Korn Orthodontics (Boston) - Book Appointment Online! For over 40 years, we at Minnah & Korn Orthodontics have been delivering world class orthodontic treatment to adults and children on Boston’s Newbury Street. By emphasizing the musculature and employing innovations, tooth alignment is attained in harmony with jaws, joints, muscles and function. New techniques which include “lingual braces” (behind the teeth), “invisible aligners”, and muscular exercises, all facilitate tooth movement and bite correction without the embarrassment of "metal in the mouth." Our expertise allows us to work with the special TMJ issues of musicians such as violinists, flautists, and reed players. Our goal is to improve smiles and bites without impacting careers. We strive to achieve perfection in everything we do from diagnosis, through treatment and into retention. Very professional yet warm and personable. I was really impressed.